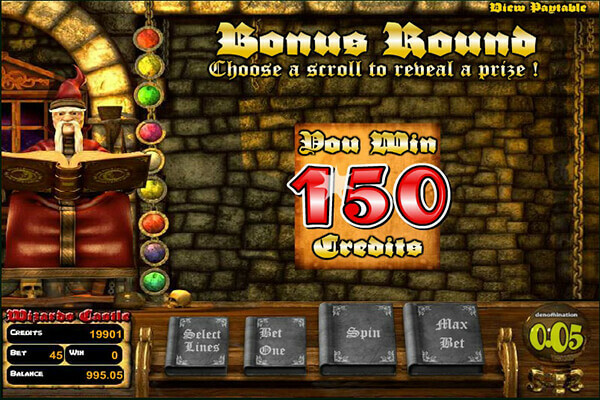 Wizard’s Castle is one of the oldest slot machines released by Betsoft. It is themed on magic and the four elements – earth, air, water and fire – and takes you to the old wizard’s castle. While it doesn’t look as good as new Betsoft titles boasting 3D visuals, the slot will provide you with an enjoyable gaming experience thanks to symbols that spin on their own and a music score that adds a bit of mystery to the overall atmosphere. Enter the Wizard’s Castle to feel magic and win some nice prizes! 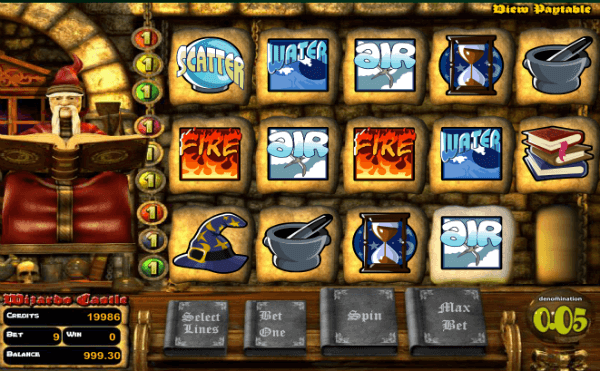 Wizards Castle slot is also very different from the general BetSoft style of stuffing almost endless amount of bonus features into one slot. Here you get a more classic feel and the play is not interrupted by multiple visual effects. Simple and nice slot. Without the usual fuss of BetSoft new slots. Bonus round. It is interactive and awards instant wins. 96% RTP – above average but below some other BetSoft titles like At the Copa or After Night Falls. When it comes to bonus features, Wizard’s Castle does not offer much. Represented by the book of spells with three stars above it, Wild appears on all the reels to complete your winning combinations. It cannot replace Scatter and Bonus symbols and pays 2,000 coins for five of a kind. It is depicted as a crystal ball and it only pays prizes. Land 3, 4 or 5 of these anywhere in view and you will win 5x, 50x or 500x your bet respectively. Element symbols pay prizes and trigger the bonus game. To unlock it, you have to land all four element symbols on an active payline. Once you do it, you will be offered to choose from 6 scrolls. All scrolls pay instant prizes. Despite its simple structure and the lack of exciting bonus features, we enjoyed playing the Wizard’s Castle slot. Betsoft’s developers have put in creativity to come with original theme-related symbols instead of including playing card symbols in the paytable, which we appreciate. 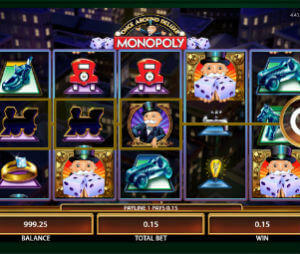 Although the gameplay is far from thrilling, you can consider giving the Betsoft slot a spin or two.